If brain is A.I, body is a bot. Here I am writing this article. 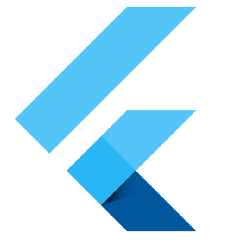 In this article, we will see how we can use the power of bots to merge with power of Flutter. Give users new ways to interact with your product by building engaging voice and text-based conversational interfaces, such as voice apps and chatbots, powered by AI. Connect with users on your website, mobile app, the Google Assistant, Amazon Alexa, Facebook Messenger, and other popular platforms and devices. Dialogflow uses intent and entities to recognize user needs. An intent represents a mapping between what a user says and what action should be taken by your software. Entities are used for extracting parameter values from natural language inputs. An action corresponds to the step your application will take when a specific intent has been triggered by a user’s input. Click on Go to console at the top right corner. You need to sign in and authorize with Google Account to use Dialogflow. DialogFlow creates a GCP project, which you can view by going to Google Cloud Console. Default Welcome Intent : Helps to greet the users. Default Fallback Intent : Catches all the questions your bot does not understand. Enter hello, and see the bot responding back. Give a name to the intent, say Schedule Appointment. Enter some training phrases as per your use-case. DialogFlow uses Google’s ML (machine learning) and NLU (Natural language understanding), implying that you wont need to enter every training phrase. Step 5 : Add Response. Situation : What if user asks something while not providing enough information. e.g User -> Set an appointment. Here, neither the date nor the time is specified. What to do now ??? Left Hand Side, click on the required field and define prompt accordingly. Want to share this bot ? Click on the URL for live demo, or even integrate in your website using the iframe code. From the GCP console, go to APIs and Services and click on credentials. Click on Create credentials and choose Service account key. Select your service account from the dropdown, choose JSON and click Create. This will download the JSON key to your computer. Save it securely. Move the json file (step 2) in assets folder.